Governments are always involved in discussions on measures that countries need to take to curb the effects of global warming. Everyone is aware of the harmful effects that deforestation can have on the environment, but apart from putting small measures in place nothing big happens. Norway’s decision to ban deforestation will, therefore, be great news for environmentalists as it is the first country to do so. The Norwegian Parliament took a pledge to abstain from procuring any product that contributes to deforestation. Rainforest Foundation Norway has lobbied for years to make this pledge a reality which was backed by the Standing Committee on Energy and Environment in Norway. “This is an important victory in the fight to protect the rainforest,” said the head of policy and campaign at Rainforest Foundation Norway, Nils Hermann Ranum. This pledge is confirmation of just how serious the country is about deforestation. Norway’s determination to combat this global problem is evident in the concrete steps that it has taken to this end. It has extended its support in funding several projects all over the world. $250 million was committed to protecting Guyana’s forests by the Norwegian government through the UN initiative Reducing Emissions from Deforestation and Forest Degradation. The money was received by the country over a period of four years between 2011 to 2015. Guyana is more fortunate than its South American counterparts because the country’s forests don’t face as big a threat. Norway also paid Brazil $1 billion for adhering to the terms of an agreement on deforestation made between the two countries. Brazil which is home to 60 percent of the Amazon forest, was able to bring down its rate of deforestation by more than 75 percent in the last decade. According to National Geographic, this deal has resulted in 33,000 square miles of rainforest being saved from clear-cutting. The results were so gratifying that UN Secretary General Ban Ki-moon also praised the initiative. Norway has extended its support beyond the South American forests to Africa also. Liberia has been one of the beneficiaries of aid from Norway for its commitment towards saving more of its forests by 2020. 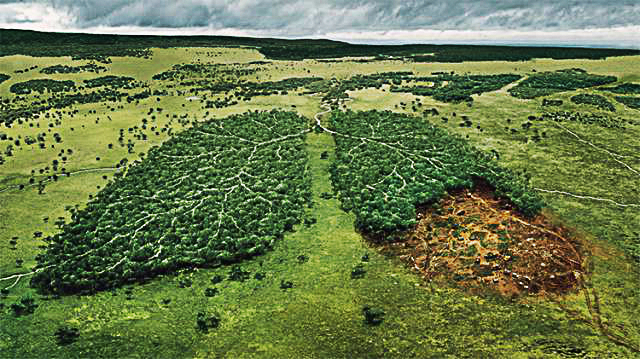 Forests which account for 31 percent of the land on Earth are figuratively the lungs of the planet. The numerous plants in the forest produce oxygen and also help in reducing carbon dioxide from the atmosphere. A big chunk of the population including much of the wildlife relies on forests for various needs like food and shelter. However, the mindless clearing of forests by people to satisfy their selfish wants has resulted in 46,000 to 58,000 square miles of forest being lost annually. The repercussions arising from deforestation are manifold. Besides contributing about 15 percent of all greenhouse gas emissions, deforestation disrupts livelihoods and can also upset the water cycle of a region.